At Christmas, one of the gifts I was lucky enough to receive was a TasteCard. 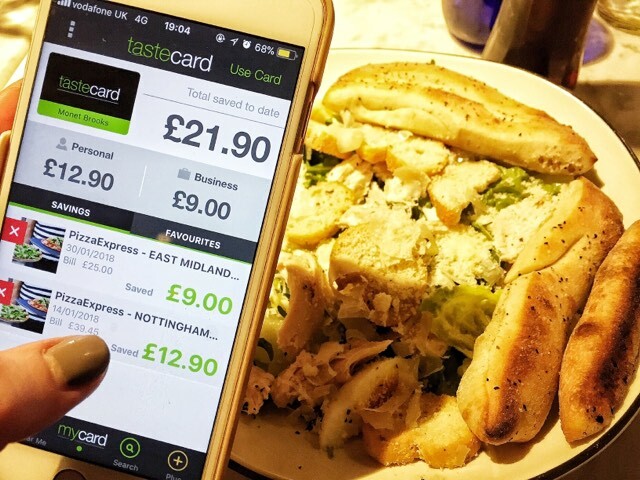 Basically, TasteCard is a membership scheme which entitles the owner to either 2 for 1 or 50% off their bill at a variety of restaurants all over the UK. At the full price, a years membership will set you back around £80 but more often that not, you can snap up and introductory offer meaning you can buy one so much cheaper or even give one a free trial for 30 days via their website. 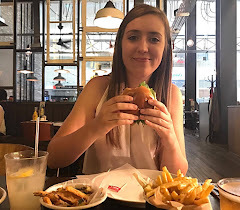 Although the price may seem steep (it certainly did to me anyway), you can soon make your money back in savings if you find yourself eating out at the one of the listed restaurants more often than not. There are many family favourites included in this such as Chiqutos, Zizzi, Frankie & Benny's and Ed's Easy Diner. For example, I have had my tastecard for 2 months now and so far, I've used it at Pizza Express twice. In that time, I've already made £21.90 worth of savings on my bills so even if I was to buy a years membership at full price, at the rate I'm going, I could make by money back in 8 months - even quicker if I went to more places. The tastecard app has this really cool feature where you're able to track all of your uses and total up your savings. You can also open up a digital version of your card so that if you've left yours at home (or lost yours like me), you can still take advantage of all of those offers. Some of the downsides to TasteCard are that in many restaurants, you can not use your card on Friday/ Saturday nights or in December. However, I understand why that's the case from the venues point of view. They are the busiest times and they want to take as much money as possible. Also, from feedback I've read online, TasteCard automatically renew your membership once the period you have signed up for is over. If you are wanting to cancel after this time, it is up to you as the card holder to cancel the membership before this happens. Would I renew my membership? I would do but I would like to see how much I've made in savings at the end of the year before agreeing to do so. If I feel it's been worth it then yes. If I end up breaking even or don't particularly feel I've benefited, no.